Version 2 is the current version. We received lots of feedback from our users which has been incorporated into the new design. 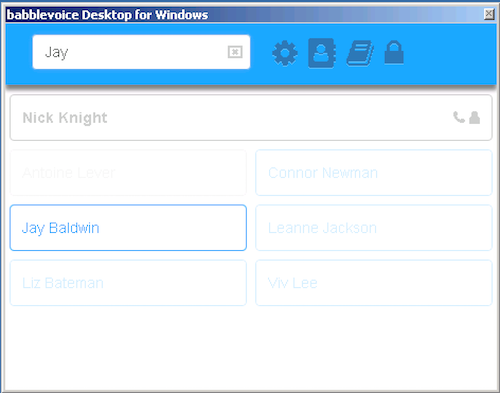 The main sections of babblevoice Desktop. At the top there is a main control bar with menu items which drop down from the search bar. 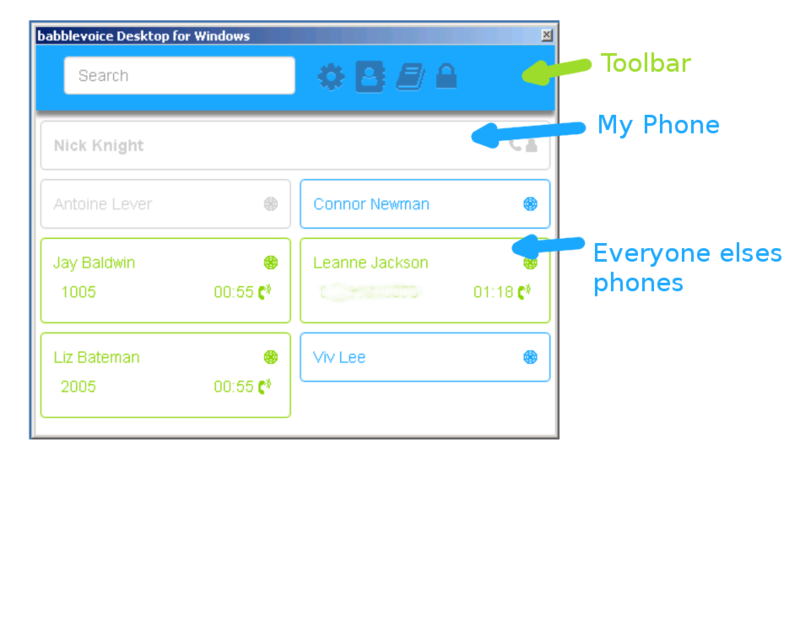 Shortcuts to configure, phone book, online help and logout appear in the tool bar also. Phones which are switched off appear as grey, phones which are on an active call are green idle phones are blue. When you put a call on hold, the held call will appear red. Type the search and hit enter and it will search through your contacts as well. If you have any plug-ins installed, depending on the plug-in, it will search through the contacts in the plug-in also. Manager spy is intended for training style situations. A manager, with permissions, can listen in to an active call of another member of staff to provide live guidance to the trainee. Have a look at automation to integrate with your actual application automation. We have supplied support for EMIS Web which can either be used as an example of if you use EMIS Web actually used. Call queues are a method of stacking inbound calls into your office/call centre and ensuring they are answered in order. There is other documentation on babblevoice call queues as well as reporting on them. 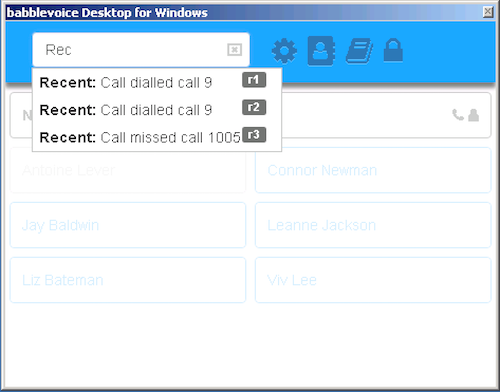 For a user it is useful to have a representation of a queue they are working on and also have the ability to pick out calls. When switched on, call parking can offer another simple way of transferring a call to another phone. It is called call parking as it is virtually identical to parking a car. You have a phone call, you park it, leave it and either you (or someone else) can pick it up again. 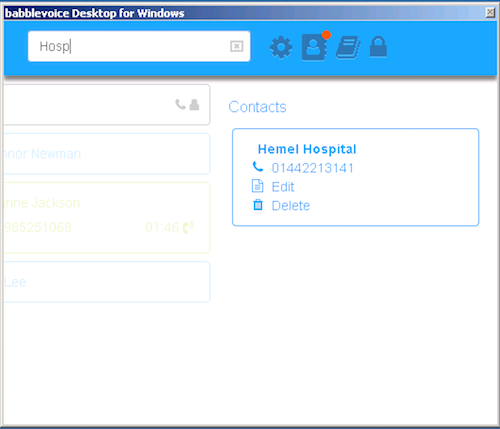 babblevoice supports call parking without the use of babblevoice Desktop. However, when handled visually it is easier to use.